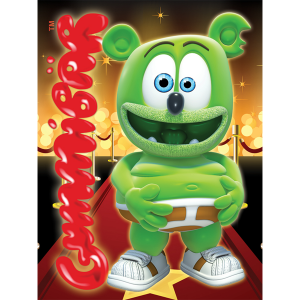 Celebrate your next birthday, holiday, or special occasion with Gummibär (The Gummy Bear) Cupcake Wrappers featuring Gummibär – everyone’s favorite dancing and singing animated gummy bear character! 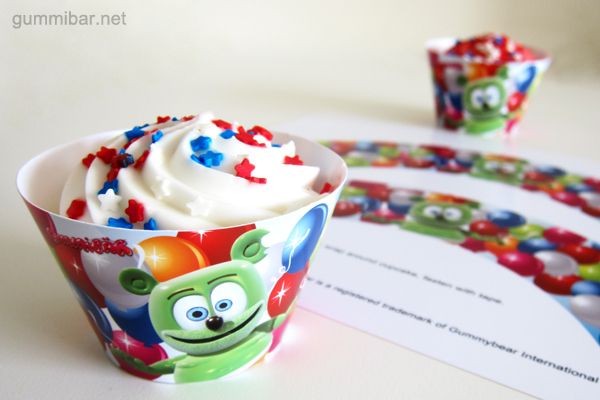 Includes 6 sheets of printed cupcake wrappers – enough for 12 cupcakes. 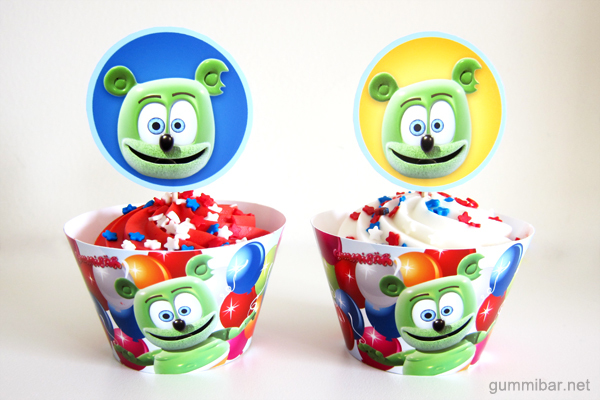 Just clip out the wrappers, wrap around a baked and decorated cupcake, and fasten with tape. Or assemble the wrappers first with an approx. 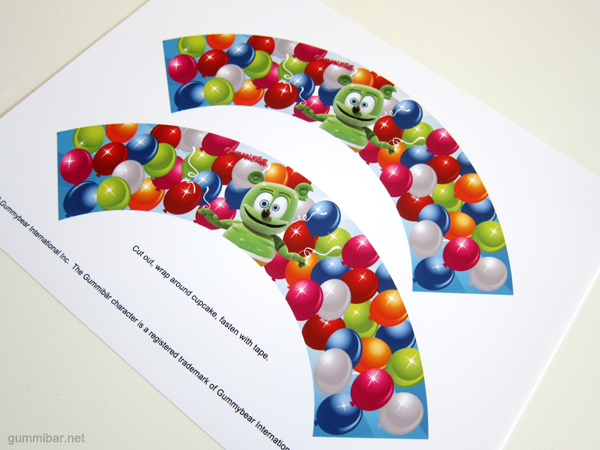 1″ overlap and insert cupcakes. 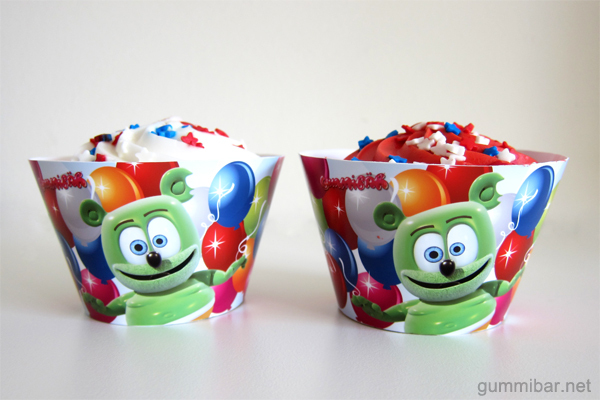 Wrappers are 2″ tall and fit a standard size cupcake. Please note these are NOT meant to be placed in the oven, and should be added for decorative use after cupcakes have cooled.